Recommended by More Treasure Valley Veterinarians than any other dog trainer. Proudly helping Treasure Valley Dog Owners for over 20 yrs. We can help. We can train any dog - Yes, even yours! - Any age, Any breed. Read below to learn more about our puppy and adult dog training programs. For questions or comments Contact Us today! Ask us about our Heroes Appreciation discount! Available for Police Officers, Rescue Workers, Military Servicemen, Educators, & Firefighters. Have all of the hard work done for you! Imagine having a dog that is a joy to be around, one that responds to your every command, regardless of distractions or environments: a dog that garners compliments everywhere he goes. Now imagine having all of that, and having the work done for you! Positive Pets clients who choose our popular Transformation Academy receive the countless benefits of having their dog trained by a certified professional trainer, all while they’re away at work or on a well-deserved vacation. 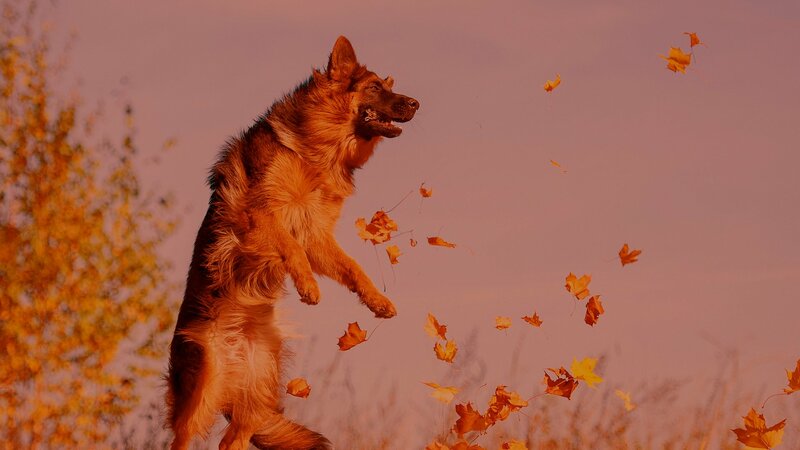 The Transformation Academy is ideal for an active family or individual who wants to be involved with their pet’s learning process, but due to their busy schedule, needs a little bit of help in the beginning stages of training. Your dog will return home from training academy joyfully responding to your every command, even in the presence of heavy distractions, and you, the owner, will learn how to maintain your dog’s excellent behaviors through “Leadership Transfer” private lessons. That’s what Positive Pet's' Transformation Academy is all about, and it all begins with a simple, FREE Consultation. Imagine your dog coming home with more skills, knowledge and control than you ever thought possible. All of the hard work done for you, but your dog stays sleeps at home. Ideal for owners who simply don’t have the time, energy, or patience to lay the foundation their dog themselves. Your dog stays at our Positive Pets Dog Training facility during the day for one day a week for 3-6 weeks depending on how well you want the dog trained before move one to group classes. Pick them up and have your semi-private lesson to learn what they learned that day and go home and reinforce these behaviors. 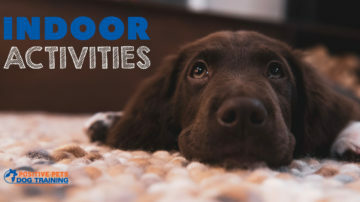 These one-on-one lessons are ideal for active families or individuals who want to be directly involved in their dog’s training from start to finish. There are several benefits to private lessons. First, you get 100% of the trainer’s attention: it is just you, your dog and the trainer. No other clients will be around to create distractions during your session. Second, these lessons are personally tailored around your family, your dog, your lifestyle and your goals. Your trainer works with you to develop a program based on your dog’s temperament and personality (because what works for a Chihuahua will not work for a Great Dane!). Third, these lessons can be scheduled to work around your busy schedule by offering evening and weekend appointments. We are flexible and want to help you succeed! Finally, private lessons can meet specific goals you would like to see your dog reach. Imagine having your dog running with you in the foothills, walking peacefully on the greenbelt, or just playing ball off-leash in the park. You can have all of this and more by investing in private lessons. It all starts by calling us today for your FREE consultation. For Dogs 5 months and younger. The first 20 weeks of life are a critical time in your puppy’s development. The Positive Pets Puppy Pre-School (for dogs 5 months and younger) will teach you the principles of raising a well-mannered, confident and socially outgoing puppy. This is done through a combination of private lessons and small group puppy socialization classes. Topics include house/potty training, how to stop play biting, controlling chewing before it gets destructive, and laying the foundation for good manners and obedience with commands like “sit,” “stay,” “heel,” “down,” “place” and “come.” It all begins with your FREE consultation!. We can teach you how to train your dog! If you are the hands-on type that wants to be personally involved with training your pooch, our group dog training classes are for you. Group classes not only teach you training methods, but also provide the benefit of socializing with other dogs and owners. Our small group classes here at Positive Pets Dog Training are designed for families who enjoy being directly involved in every step of the training process. Group classes offer the benefit of socializing with other dogs and owners, and working around distractions. The classes are kept small to make sure each dog and their owners are able to get personal attention without getting lost in a large group. Each 6-week course covers a comprehensive range of topics that include house training and basic commands, all designed to help you create a well-mannered, happy and obedient dog. Both courses are priced at $249.00. Advanced Off-Leash Obedience Class: Teach your dog to be off leash through the Boise foothills, downtown, and while visiting cafes and coffee shops. Dog Tricks 101 & 201: Learn unique, fun and impressive tricks like high five, shake, reverse walking up the stairs, and even the BSU Touchdown (a client favorite)! Foothills Etiquette Class: Teach your dog how to behave while out on the trail. The Trained Retrieve: Your dog will learn to bring you anything you request of him or her, whether you’re hunting, doing service work, or just wanting your slippers and the newspaper! Do you and your staff work with dogs? 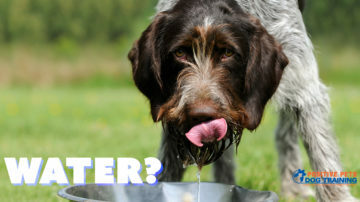 Are you a veterinarian, boarding kennel or groomer? Let us buy you and your staff lunch and teach you cutting-edge tips, tricks and strategies for dog training, canine behavior problems and dog bite prevention. Our staff of experienced, certified professional trainers looks forward to not only having the opportunity to introduce ourselves and our dogs, but also teach the latest in scientifically proven methods of the attention-reward based communication system of dog training. We will even provide some fun entertainment! Our dogs do some pretty amazing tricks, like the popular BSU touchdown, reverse circle, and picking up a quarter trick. Sharing the knowledge of our attention-reward based communication system of dog training is something we love to do! Have our staff of certified professional trainers talk to your group, dog training club or pet-related store. Topics we cover include: the power of reward based training using markers, proper use of the remote training collar for motivation, teaching a trained retrieve, basic & advanced obedience, and dog tricks. I had someone tell me, "I wish my dog behaved as well as your dog on walks." Considering that I was unable to walk my poorly behaved dog prior to my training , I would highly recommend Positive Pets to anyone needing help. Training process is effective. My little Yorkie was too small for the collar control but I can still see the positive effect it had on him. He is a little soldier always ready to perform for me even 4 years later. I love this place! Two dogs with different motivations and rescue dog issues. Worked with me and have great, well-behaved dogs now! I loved the service! Devin is an amazing instructor and my family and I feel so thankful to have crossed his path! Buckeye is on his way to a super-good citizenship! 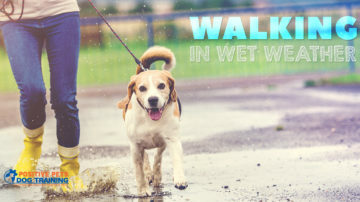 When it’s raining outside it can be difficult to decide if you should stay inside or push through and walk Fido….